American Dietetic Association spokesperson Angela Ginn-Meadow, RD, says planning ahead is essential for quick lunch assembly. “A planned menu with all the ingredients in the kitchen will make it easy to put together tomorrow’s lunch after dinner,” she says. 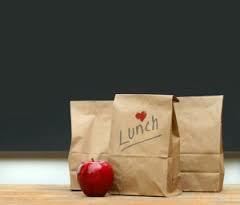 Don’t forget: Lunches that include meat, fish, poultry, or dairy need to kept refrigerated. Toss your lunch in the refrigerator at work. If you don’t have access to refrigeration, invest in a lunchbox, Thermos, reusable plastic containers, plastic baggies, and ice packs to keep your lunch at the proper temperature. 1 Response to "Brown bag simple – easy/inexpensive lunch ideas for grown ups!" I believe this website has got very wonderful indited content articles .